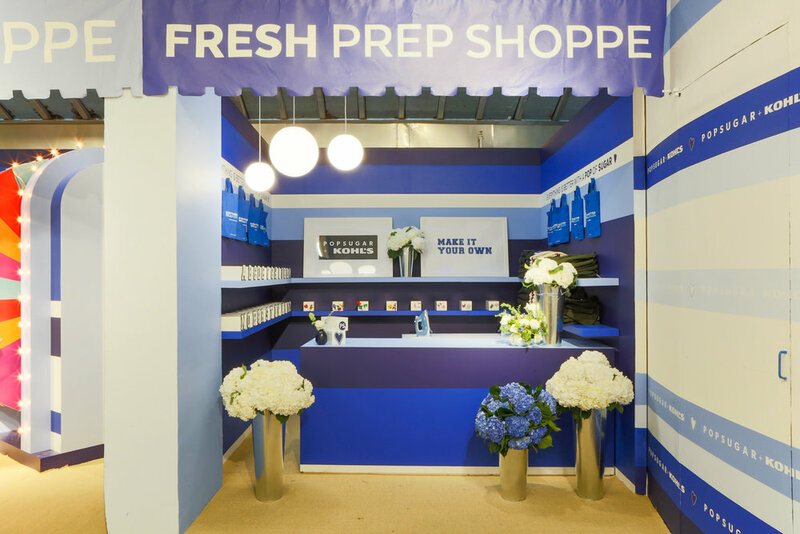 Taking cue from the newest PopSugar and Kohl’s campaign, The Gathery offered a glimpse into the life of the strong confident campaign talent by allowing shoppers to step into their world. 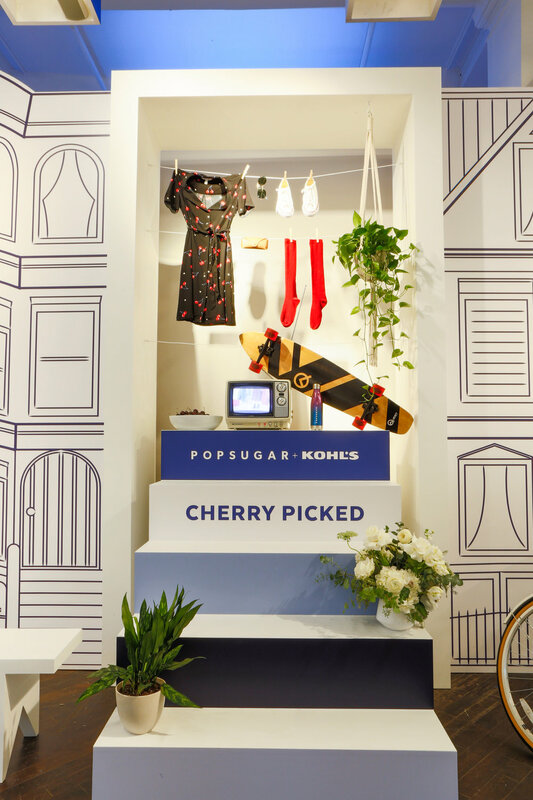 Creating a playful street scene – a cross between San Francisco’s famed painted ladies and Brooklyn’s brownstones – the collection came to life in a series of everyday moments contextualizing the PopSugar-designed trends. 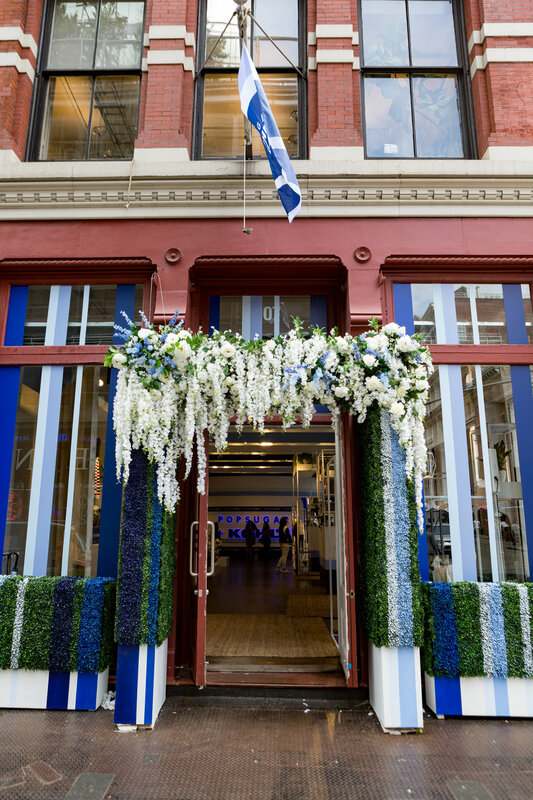 Our PopSugar storefront was treated with the signature campaign stripes, at varying widths, dimensions and applications creating an elevated and attention-grabbing façade. 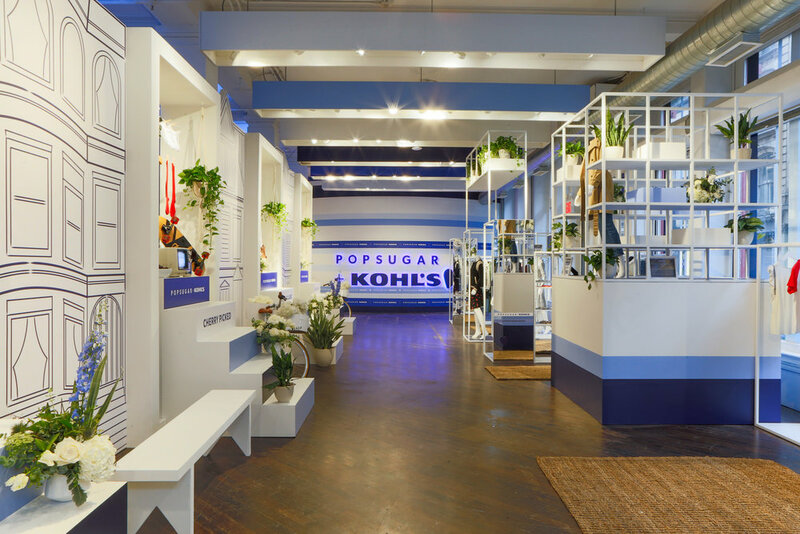 The series of brownstones showed 3D flat-lay boxes revealing seven key fashion trends, while "corner stores" offered a Kohl’s cash wheel game and a customization station. 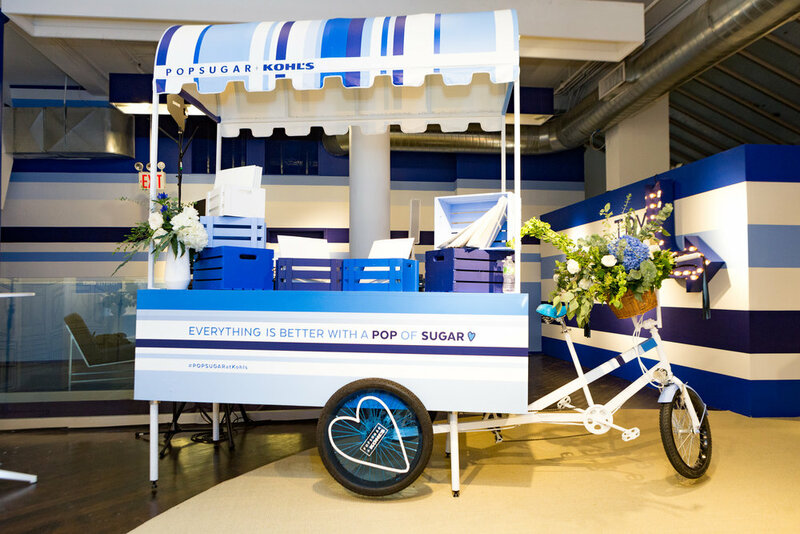 The check-out was created from a bicycle cart staged in the middle of our fictitious street scene.